Dr Mukund Rajan, 46, serves as a Member of the Group Executive Council at Tata Sons Ltd., and is the Tata Brand Custodian and Group Spokesperson. Additionally, he serves as Chief Ethics Officer of the group and oversees all Corporate Social Responsibility (CSR) activities as Chairman of the Tata Global Sustainability Council. Dr Rajan joined Tata through the Tata Administrative Service (TAS) in January 1995. He was assigned to the office of the then Chairman of Tata Sons, Mr Ratan Tata, in 1996, where he served for twelve years. In January 2008, Dr Rajan was appointed Managing Director of Tata Teleservices (Maharashtra). He subsequently moved to Tata Capital in 2010, where in his last role, he was the Head of Private Equity Advisory and Managing Partner of the advisory team of the Tata Opportunities Fund, a private equity fund sponsored by the company. 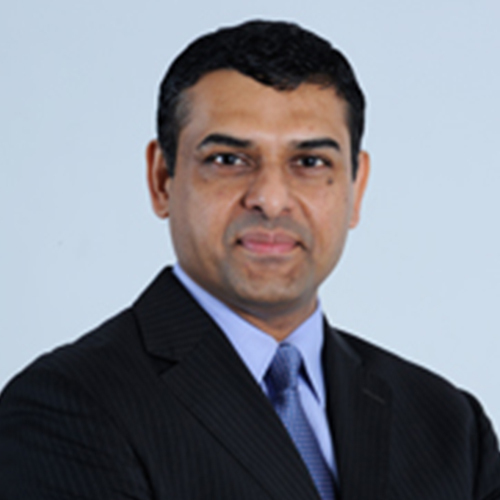 Dr Rajan has served on the boards of various Tata companies including Tata Teleservices, Tata Communications, Roots Corporation and Piem Hotels. He was also President of the Association of Unified Access Service Providers of India, one of the principal telecom industry associations in India. He currently serves as a Non-Executive Director on the boards of Lakshmi Machine Works and Tata SIA Airlines, and is a member of the Advisory Board of the Tata Opportunities Fund. He also serves as the Co-Chair of the CII National Committee on CSR, and is a member of the National Committee on [email protected], a CII initiative. He is also a member of the National Advisory Boards of two youth networks; AIESEC India and ENACTUS. In 2007, the World Economic Forum honoured Dr Rajan as a Young Global Leader. He was also part of the inaugural class of the CII-Aspen Institute India Leadership Initiative. Dr Rajan graduated from the Bachelor of Technology program at the Indian Institute of Technology, Delhi in 1989. He received a Rhodes Scholarship to study at Oxford University, where he completed a Masters and Doctorate in International Relations. His doctoral dissertation titled “Global Environmental Politics – India and the North-South Politics of Global Environmental Issues” was published by the Oxford University Press in 1996.